Back in the early days of video blogging, I had a web series called Vlog Soup. It was a show that highlighted the best of web video. In August of 2007 I highlighted a web series by Yuri Baranovsky called Break A Leg. I thought the show was so funny, that in my video review, I edited out one of the characters and inserted myself into the video. 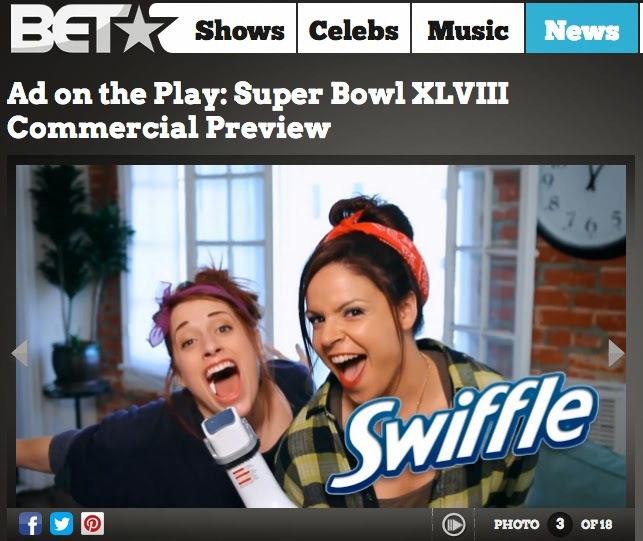 Yuri is having fun again with this Super Bowl commercial satire, Swiffle. He calls it a, "faux satirically sexist superbowl ad." I told Yuri that I thought that having the actress chew gum made it look like it wasn't a real ad. Yuri replied, "Well we really didn't think anyone in their right mind would think it's real. It's completely ridiculous..."